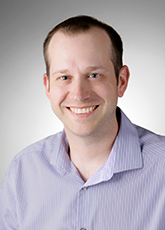 Jared joined the firm as an intern and became a permanent Staff Accountant in 2008. He works on a wide range of client services including bookkeeping projects, tax returns, financial statements, and audits. In his free time, Jared enjoys the many outdoor activities our area has to offer including skiing, camping, hiking, fishing and hunting. He and his wife are also kept busy with the recent addition of a son to their family.